Learning French can be done through a variety of methods. There are some people who opt for online classes. Others prefer a classroom setting and enroll themselves into a French language course in their local colleges. There are also people who are confident enough to only have a French/English dictionary and a French lesson book they got for a bargain price at their local bookstore for their study. And there are also some who make use of French audio tapes that are sold in local record stores. But if you are wondering what the best way to learn French is, then you are looking for an answer that is probably the most expensive of all the available options in learning the language. 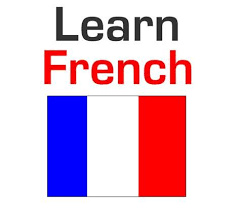 The best way to learn French effectively and quickly is to get involved in a French immersion course. This, as mentioned, is the most expensive method of learning French, but is undeniably the most successful in terms of striking accuracy and speed at the same time. Being in a French immersion course is like hitting two birds with one stone because aside from learning the language; cultural, historical and social influences are also learned in the process. So, you ask why you should get involved with a French immersion course when there are other cheaper alternatives in learning the language. Simple, because a French immersion course will make you live the way French people live through their everyday life. With an immersion course, you, along with other participants, will be brought to France to have a first-hand experience in the whole culture. The experience will totally be different from sitting in your French class every single day trying to imagine what the words you have just learned meant. There are certain activities in French that can be discussed in the classroom, but to become a part of these activities in the truest sense of the word makes all the difference. Being able to actually see, feel, smell, and taste things that are merely discussed in the classroom setting is extremely helpful in giving you a better understanding of the language. Interacting with native speakers of the language is something that cannot be traded for all those audio tapes, books, dictionaries, etc. Talking with these people make all the practice conversations with other beginners pale in comparison because now this is the real thing, there are no instructors that will correct wrong grammar or sentence structure anymore, and the grade now lies in whether or not the person you were conversing with understood you. A French immersion course is the best way to learn French because it definitely makes learning easier. If you come to think of it, you did have an easier time to learn the things that you know now because of being constantly exposed to the information. Being in an immersion program works the same way, it allows the participant to be surrounded by everything French in a designated span of time designed for the purpose of taking in everything related to the language.